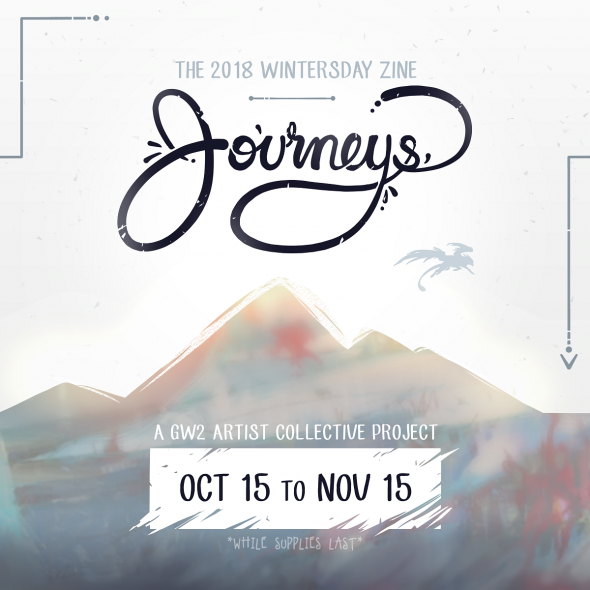 Preorders for "Journeys" - the Wintersday Zine 2018 - are Live! The Guild Wars 2 Artist Collective is back with another charity project - this time the annual Wintersday Zine! The collaboration features works from 79 contributors in a 200+ page perfect bound book. 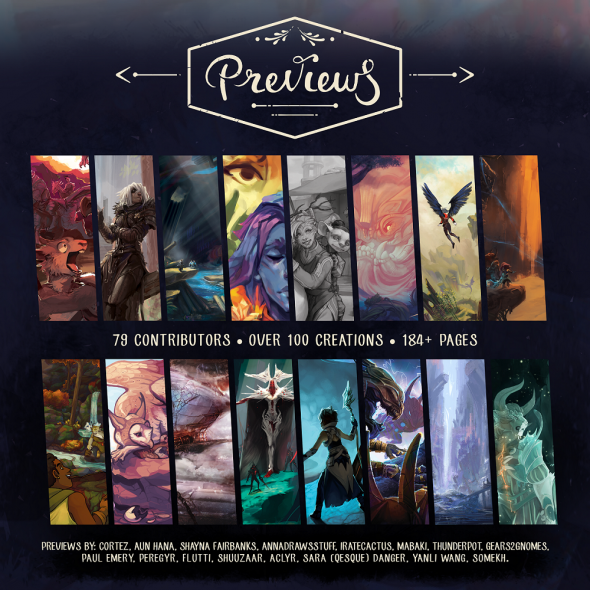 It includes short stories, illustrations and comics, and brings together talents from across the global community. The contributors each picked one of three sections - the base game, Heart of Thorns or Path of Fire - and chose a moment that they felt highlighted their experience in Guild Wars 2. The book aims to take the reader back to the start - from your first days exploring - and rise to the challenges of our most recent adventures. GW2 D6 & D12 dice - official photos up on Twitter! Unlike TT, the WDZ is bundled with repeated items for speed. There are just bundles, and we source locally (the printers are 30 minutes away). It raises prices, but greatly decreases fulfillment times. The first 500 orders from the NA/International locations ship from Dec. 10 to 17. US orders are via priority mail (2-3 days), EU is air mail. Sales launched Oct. 15, end Nov. 15 for the bundles. We are officially sponsored by ArenaNet. You can find their blog post on the project here. The project is again charity based, going toward Save the Children. We've already made a small donation of $255, and will make our full donation in January at the completion of sales. We also donated last year to Doctors Without Borders (MSF), and are donating to the International Fund for Animal Welfare on Nov. 9th. We hope to see you again with this project! Feel free to ask me questions; I'll answer when I see it (but for more immediate assistance, email: [email protected]). This project is brought to you by the same organizer that brought you Tyrian Tarot and the last Wintersday Zine. Thank you for supporting this project, and all of the other collaborations the Collective have done. If you have inquiries about Tyrian Tarot, please send us an email ([email protected]). We're about 99% done with NA shipping & fulfillment, and 50% with EU/Worldwide. If you've missed them, we regularly post updates to Indiegogo, as well as Twitter. Thank you for sharing so many photos with us! Last year's was fantastic. Don't pass this up! Hey gang - just wanted to say thanks (again) for your support. We donated the $5250 donation after shipment concluded, totaling just around $49,600 for the 13 month period. We really appreciate it.